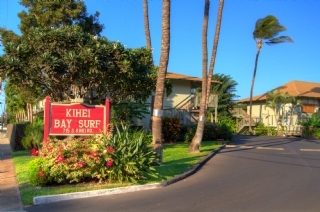 Kihei Bay Surf condos for rent are located just across the street from a small whale sanctuary park towards the north end of Kihei, Kihei Bay Surf Condos is a treat for renters of all ages. 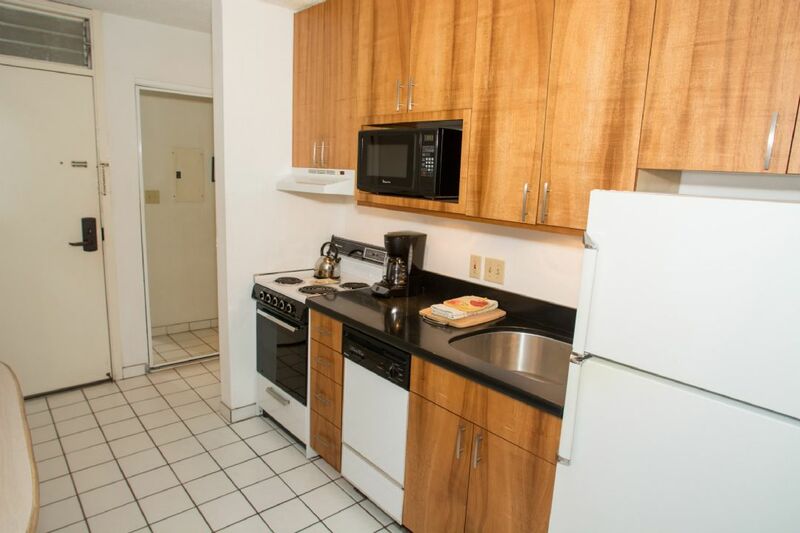 Each condo rental features a fully equipped kitchen with a fridge, stove, dishwasher, and microwave. All units have ceiling fan, air conditioning, and a front deck or balcony with outdoor seating options. 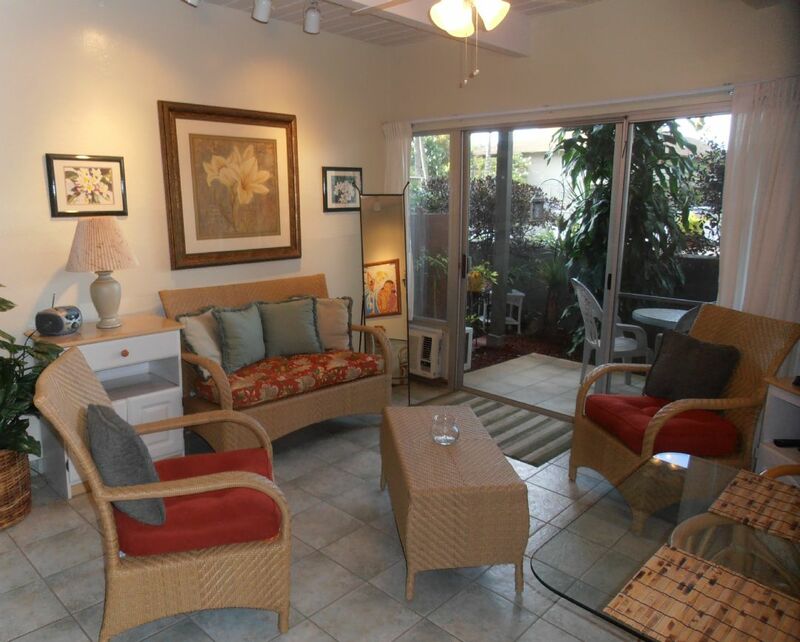 Kihei Bay Surf Condos surround a central courtyard, with most units facing into the landscaped area. The well cared for grounds feature a swimming pool, hot tub, tennis court, and a BBQ area with gas grills. 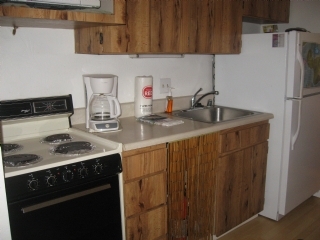 A coin-operated laundry room is also located on site for added convenience. 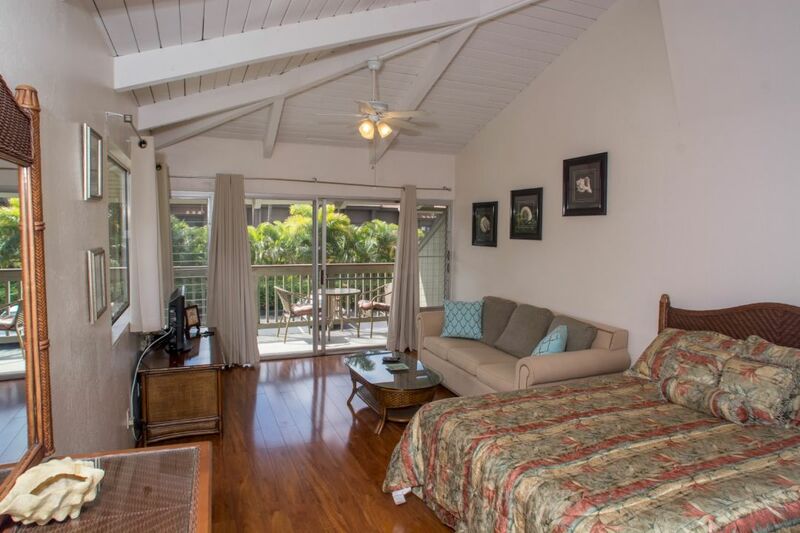 With numerous traditional Maui, shops close by as well as a major supermarket, a bank, and various restaurants there are plenty of things to do and see as you vacation in your own stunning Maui vacation rental. Kihei Bay Surf Condos are also located close to golf courses, tennis courts, and movie theaters, variety of shops and restaurants as well as east access to the excellent sugar beach. 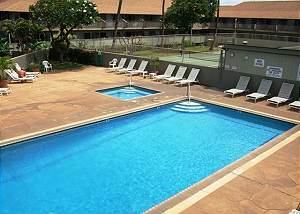 Located in North Kihei, Kihei Bay Surf Condos are only approximately 15 minutes from Kahului airport. 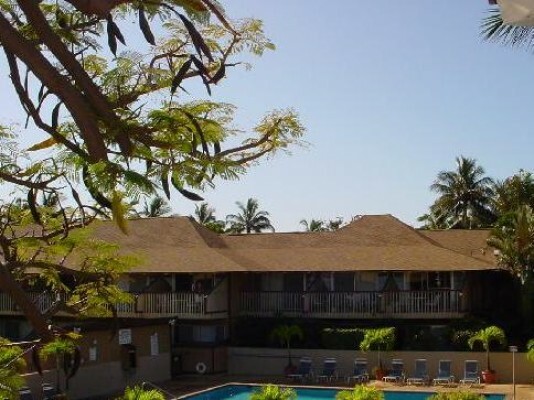 These Maui condominium rentals have so much to offer in the way of convenience comfort and affordability. Boom today and see why Maui Hawaii is one of the world’s most famous beach getaways. 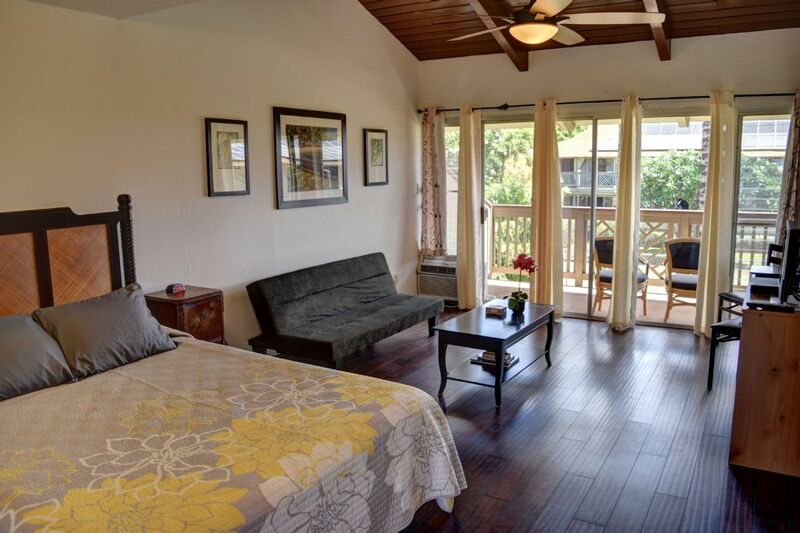 Kihei Bay Surf #208 is a second floor studio that has a fully equipped kitchen and bathroom. Kihei Bay Surf #1352226 Studio Sleeps 3 Across From Beach Great Rates! Unit 226 is an upstairs studio with vaulted ceilings, a fully equipped kitchen, and peek-a-boo ocean view. Unit 213 is a beautifully remodeled studio that can sleep up to 3. Unit 144 is a beautifully remodeled studio that can sleep up to 3.